When you throw a Football Party be ready to cook a big meal and carve a fine piece of meat for all your hungry football fans. Your football party Personalized Glass Cutting Boards will proudly serve all your carving needs throughout the entire game. 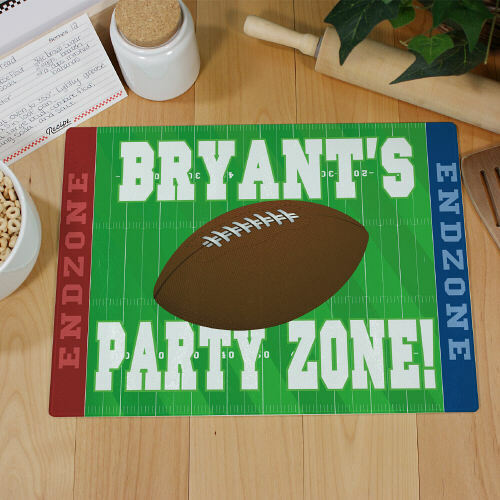 Our Football Party Zone Personalized Cutting Board is a Large Glass Cutting Board with 30mm radius corners; measuring 15 ¼” x 11 ¼”. This heat resistant glass cutting surface is dish washer safe. 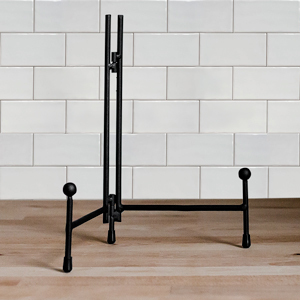 Includes self-adhesive rubber feet. Personalize your Football Party Zone Cutting Board with any name. My brother loved it. He was very happy. He can't wait to use it for his superbowl party. This was a great gift for football fans. I scored a touchdown wiyh this gift.